Alexa Score is a professional wakeboarder, TV personality, speaker, and cancer survivor. 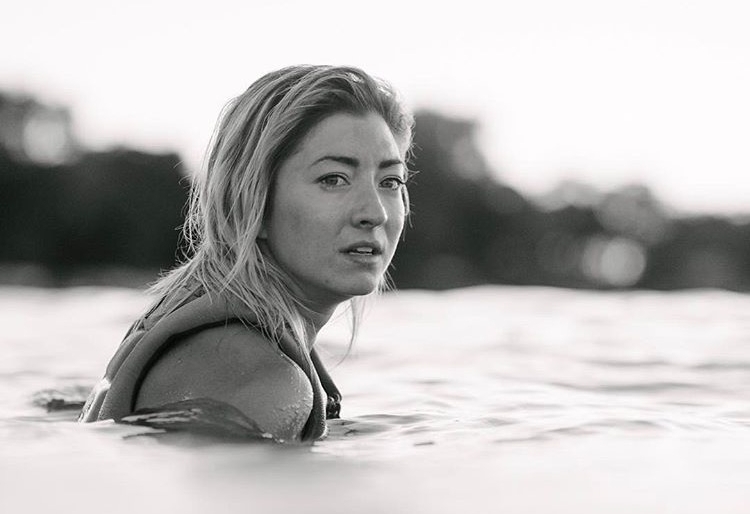 Born and raised in small town Spicer, Minnesota, she hails from humble Midwestern roots but now splits time between Orlando, Florida and Minneapolis, Minnesota when she's not traveling the world to wakeboard, speak, and pursue other various endeavors. She has represented numerous global brands including Liquid Force, Hard Rock Cafe, LifeProof, SPY Optic, Body Glove, and others. She has appeared in print and video ads across the globe and has a plethora of experience in the TV and film industries, including being a TV personality on networks such as MTV, ESPN, and Travel Channel, appearing in the SyFy movie Two Headed Shark Attack, starring in broadcast TV ad’s, and has appeared on multiple live and recorded interviews on news stations across the country. She’s currently a TV personality for the Minnesota Vikings, cohost of Made for the Outdoors on Sportsman Channel and Fox Sports, and a member of The CW Twin Cities on-air crew. Her story has been featured in countless print publications including WAKEBOARDING Magazine, Alliance Wake Mag, CancerToday Magazine, UCF Pegasus, and was also featured in the 2016 PBS TV documentary, "Adventure Unknown". Alexa was diagnosed with Chronic Myeloid Leukemia at age sixteen and has been living with cancer for the past twelve years. While still being treated with a daily dose of oral chemotherapy. she uses her platform to raise money and awareness for multiple charities including The Leukemia & Lymphoma Society, BeTheMatch.org, and others. Despite dealing with the constant side affects of cancer and treatment, Alexa has made it a priority to live an active, energetic, and healthy lifestyle. When she's not wakeboarding, speaking, or writing, she can be found fishing, hiking, volunteering, exploring, surfing, or pursuing one of her other countless hobbies. She looks forward to increasing awareness for her disease, inspiring others, and continuing her adventures for years to come.